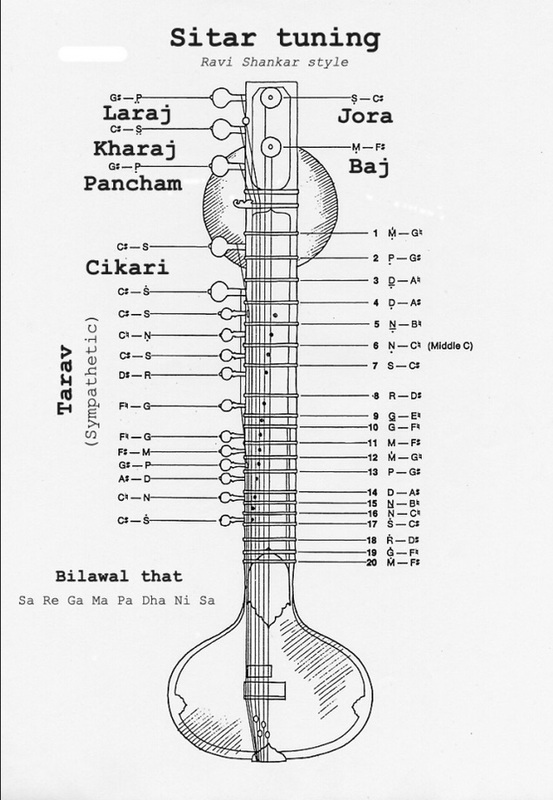 chandrakantha.com > Categories > MELODIC INSTRUMENTS > Sitar Tuning? Meanwhile, have been having a look at various Tarab tunings. Will this system work for me please? For some reason tunings on the internet are in C so I have done my best to sharpen the note values. Thank you. note will resonate in the sympathetic strings. So your query would need to consider the Raga that you are studying, right? K2- If you are just writing the notes down without hearing them it will be hard to know the difference. Just saying . but you can leave them the way you have them without dissonance. But, at the top, "DANGER"! String no's 11 and 12. Those two strings are very short and the string tension is high and if you try to go up to "High" F#" and Eb (D#;-) almost certainly you will break a string. Bring those notes down; no-12 to high C# and the no-11 to B.
know where those notes are because that is the key that you will play in. because the sitar remains in the one key and the music depends a lot on ornamentation as part of improvisation. So the repetition of notes is in part for resonation, but also for rhythm and accentuation. And not forgetting the second string and the fourth are also C# : The no-2 middle C# and the no-4 is a low C#. That is a lot of C#'s just in case you wanted to know. Glad I posted! 😉 I broke a tarab when the sitar was still quite new, probably over-tuned it. These are my main strings, they sound good to my ear but I don't know what tradition uses this tuning, I am eagerly awaiting the bass string to hear the full flavour of the strings. 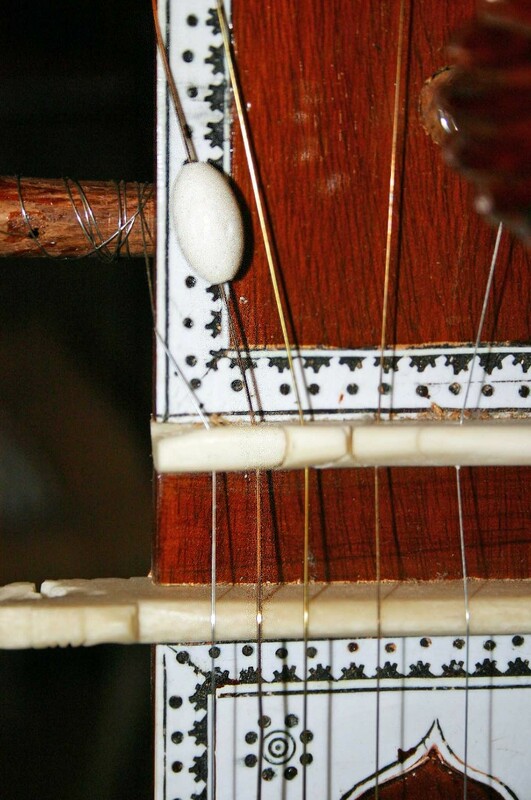 I imagine the set-up of the main strings will to some degree determine the tarabs. This tuning is a good default tuning, it's what I use. 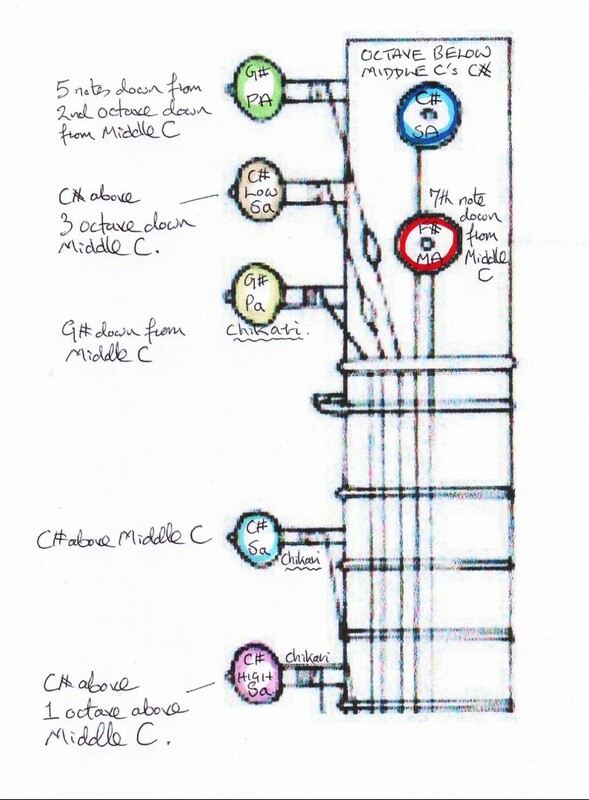 You said: "This tuning is a good default tuning, it's what I use", did you mean the tarabs, or the main strings please - or both, as in the whole tuning set-up for my sitar as it presently is, by my diagrams? d) to tune the tarabs. The whole outline is fine that you've done. Note the 4th string is SA not Ga as you've written but the note is correct. The 4th numbered tarab on the diagram is Re / Eb. SA will be C# in the western system. Which string do you mean please? 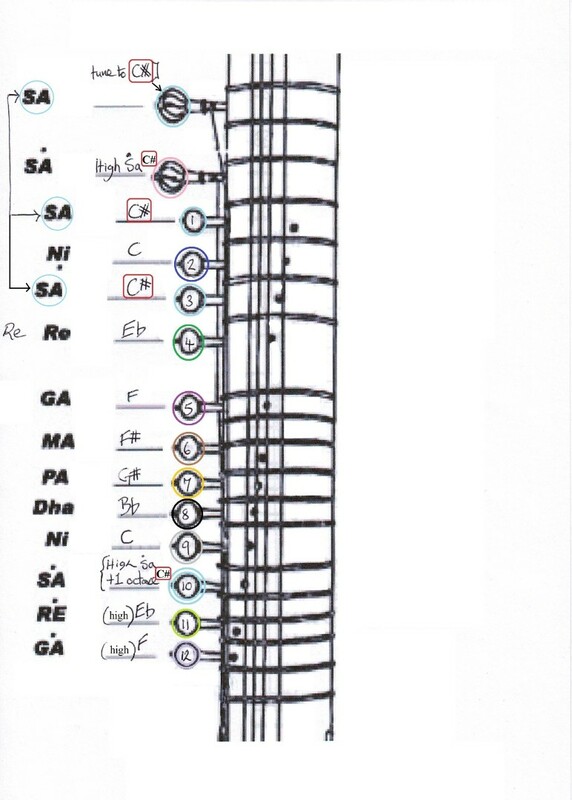 Here is a chart for Ravi Shankar (Karaj Pancham) style in C#. Hope this helps. That looks similar to what I have. Going to go easy on the shorter tarabs however. 4th main string, not tarab which can vary according to raga/tuning. I will probably have a go at attaching it towards the end of the week. Fitted the Low Sa, had to file it's bridge slot slightly to encourage the thicker string to sit properly. Season's greetings / Happy Holidays.